Patients with seemingly similar cancer tumours can respond differently to the same treatment. Over the last decades, scientists have been studying the molecular signatures of tumours to predict drug sensitivity. This approach primarily focuses on understanding the molecular alternations of the tumour itself. One aspect that not many studies include is the germline – or inherited – component of a patient’s genome, which includes the analysis of non-diseased cells. This approach means that the relevance of germline variants on drug susceptibility is still largely unknown. Researchers at the European Bioinformatics Institute (EMBL-EBI) have used a large collection of cancer cell lines to systematically test the relevance of germline variants to explain differences in drug response. 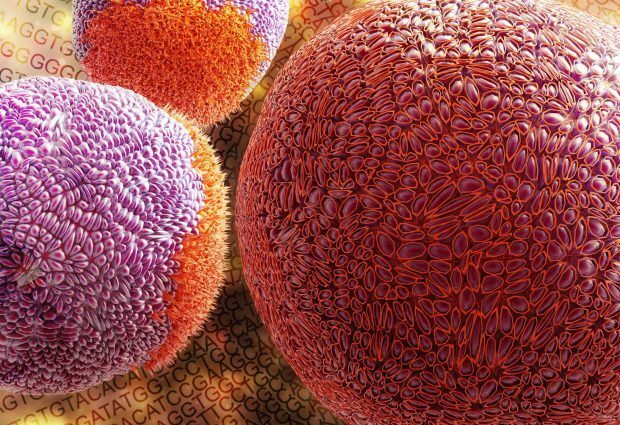 The analysis, which leveraged both inherited genetic variants and variants that are caused by the tumour, was applied to 993 cell lines and 265 drugs. Surprisingly, results, published in Nature Communications, showed that the germline contribution to differences in drug susceptibility can be just as important as the contribution of somatic mutations. A new tool in treatment decisions?